As part of corporate responsibility to the youngsters, and as a Microsoft Most Valuable Professional (MVP), Andri Yadi (CEO of DyCode), represents his company and his expertise, giving a motivational and technical speak on Microsoft Student Partner (MSP) gathering. MSP is a worldwide educational program to sponsor students majoring in disciplines related to technology, that consists of selected students from IT college or university. The gathering was organized by MSP – Bandung chapter, held at Bandung Electronic Mall (Be Mall) on Nov 29, 2009. On this event, Andri gave motivational talk about how the students should be thankful for and use the opportunity offered in MSP program optimally, how to become an expert in certain IT area, and how to become more success later when they jump into IT jungle after graduation. As for technical speak, Andri talked about development in Office 2010, the latest Microsoft Office, using Visual Studio Tools for Office (VSTO) 2010, included in Visual Studio 2010. He also talked about updates on Office development from Microsoft Professional Developer Conference (PDC) 2009, that’s recently held on Los Angeles, Nov 17 – 19, 2009. The MSP students attending the gathering are coming from different backgrounds and interests, but still in IT and mostly interest in software development. The introduction of VSTO and Office development delivered by Andri, has changed their perspective about Office, which is not only productivity tool but also development platform. Some of students have expressed their interest to explore more about VSTO and Office development. 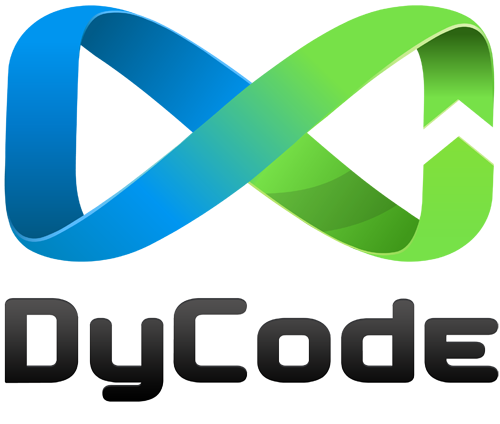 DyCode invites them to come to DyPlex and willing to facilitate their interest to learn more about VSTO. Off course, DyCode is ready hire them after reaching certain skills. This event is one of DyCode’s contibution to the community and students. We, the DyCoders, are commit to help students to learn more about software development, and provides them the internship program to experience working in the real world. To students who wanna be a great coder, wait for your coming to DyPlex. Although Microsoft Corporation has launched Windows 7 on Oct 22, 2009, it’s not been launched commercially in Indonesia. On Nov 24, 2009, in Jakarta Convention Center, Microsoft Indonesia launched Windows 7 commercially, incorporating Windows Server 2008 R2 & Exchange Server 2010. The event featured Faycal B, the new Chief Operating Officer of Microsoft Indonesia, and presentations from Microsoft’s partners (Acer, Dell, HP, and Intel). After the main session that held from 09.00 to 12.30, the event’s continued by breakout sessions that specifically talked about many different topics, such as desktop, server, unified communication, security, and application platform. CEO of DyCode, Andri Yadi, delivered a topic entitled Practical Office Business Application (OBA), which is his expertise as Microsoft MVP of Visual Studio Tools for Office (VSTO). VSTO is the tool for developing OBA, which is basically business application that’s based on Microsoft Office platform. Andri delivered the talk together with another MVP, Client App, and also Developer Advisor at Microsoft Indonesia, Ronald Rajagukguk. Andri’s talking about VSTO versions, from 2005 to 2010. On this prestigious and big event, not many MVPs have opportunity to deliver a talk. Andri and Ronald are two of them, so congratulate both of them.